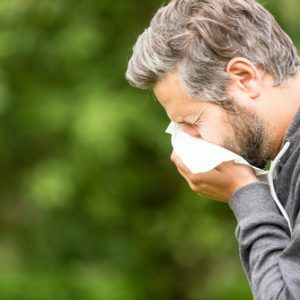 Artificial Grass Can Help With Seasonal Allergies | Turf Etc. Spring time is quickly approaching, which means it’s time for many Kansas City homeowners to deal with seasonal allergies. This time of the year can seem unavoidable, but there are steps you can take that will eliminate allergy symptoms. Follow these tips for an easy transition into the new season. The number one cause of seasonal allergies is excess pollen in the air. During springtime, grass and trees produce high levels of pollen that can get caught in blades of grass. This means if you are outside, or even if your windows are open, you are likely breathing in that pollen, which could trigger seasonal allergies. To reduce these symptoms, you can replace your lawn with artificial grass. Artificial grass is made using nylon fibers that don’t capture tree pollen like natural grass does. Your artificial lawn acts as a protective barrier around your home. A quick rinse with a hose can wash away any pollen that may have inadvertently blown into the yard. SYNLawn products are safe for pets to play on and use at any time of year, but they are especially useful in the spring when they help stop the spread of pollen. After just a short trip outside, pollen can cling to your dog or cat. Your pets can then bring that pollen indoors where it spreads throughout the house. This will not only trigger your allergies but your pet’s allergies as well. Seasonal allergies in dogs can present itself in the form of a rash, or respiratory problems such as wheezing. If you see these allergy symptoms occurring in your pets, it might be time to include artificial turf in your Kansas City home’s landscaping plan. Doing so stops the allergy cycle in its tracks, allowing you and your family to breathe easy. The changing of the seasons always brings new beginnings, as well as new issues. Seasonal allergies affect people all over the country. Fortunately, artificial grass installation in Kansas City can help put your allergies to rest. Contact us today for a free quote.